K.L. Harring – DRIVER BUILT. TEAM DRIVEN. At K.L. Harring we work our schedule around your schedule by 24-hour, 7 day a-week pickup and delivery, including nights, weekends, and holidays. K.L. Harring is a comprehensive logistics service. K.L. Harring is a full-service warehouse. Coast-to-coast service in the U.S.
At KL Harring we understand the importance of hiring the best drivers money can buy. We hire only the best of the best: drivers who are fully trained, D.O.T. certified, and who pride themselves on safety and on-time pick-up. In other words, we’re looking for you! 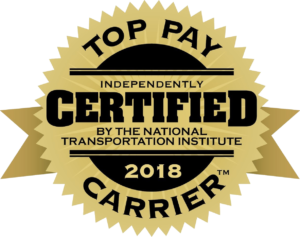 Be a part of this elite team of drivers and be rewarded with a competitive pay package, generous benefits, desirable home times, and the respect you deserve. As K.L Harring moves into the future, our strategy is to continue providing high quality specialized transportation services that will provide solutions to our customers’ unique market needs. Since 1978, K.L. Harring has driven millions of miles and made thousands of on-time deliveries for customers who have relied on us to deliver the goods. And we can do the same for you. K.L. Harring is a professionally managed full service transportation and warehousing company located in Bethel, PA. Our goal is to provide our customers with safe, efficient, and cost-effective transportation. We provide equitable solutions to our customers’ needs by thoroughly understanding and responding to their transportation requirements. Our services include expedited team truckloads, long-haul regional and national truckloads, refrigerated truckloads, express LTL, and logistics. K.L. Harring provides customized services, to fulfill any need–even those requiring the most complicated routing. If you are a large shipper, K.L. Harring can provide you with integrated transportation services by placing a dedicated fleet at your disposal. If you are a smaller company, you will appreciate our complete commitment to meeting all your needs on every shipment. Small or large, our customers are a source of pride to K.L. Harring. We aim to take care of our customers and our customers’ customers. We makes sure the people and the processes are in place to produce the results you want, need, and deserve. K.L. Harring knows that providing quality service begins with safety. Transporting freight safely and efficiently is our number one priority. That is why at K.L. Harring, all of our drivers are fully trained and D.O.T. qualified. We provide our drivers with late model Kenworths that are maintained in accordance to strict standards. At K.L. Harring, everything takes a back seat to safety. Our safety first program helps us achieve an accident rate well below the industry average. Our comprehensive safety efforts include educational programs as well as application of the latest technologies to help us achieve a leadership position in the industry. Safe drivers, proper equipment maintenance, and a company-wide commitment to safety contributes to K.L. Harring's outstanding safety record. Looking for something in particular? Search below to find just what you’re looking for.